Me and group of my friends here in Bali left Bali behind us last weekend. This time we didn't go far way - insted we jumped to a boat which took us to the small island of Nusa Lembongan. When I wrote about travelling around Indonesia a couple of weeks ago, I didn't even mention Lembongan. That's partly because of Lembongan is so near to Bali that it's a kind of part of this island (in the same way as Gili islands are a kind of part of Lombok) and partly because I already knew that I'd be writing about Lembongan soon. So, Nusa Lembongan is a small island that's located next to Bali. It's part of a group of three islands, Pulau Penida. Lembongan is the most famous and most visited of those three islands. 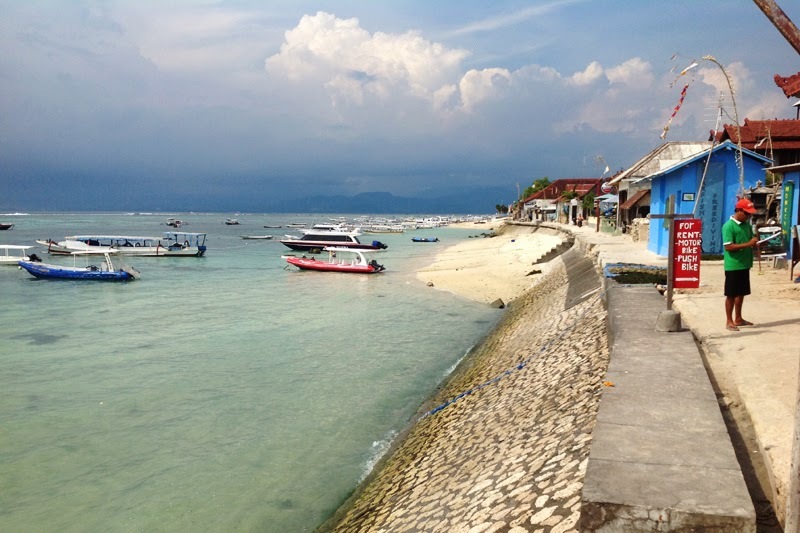 It seems to me that nowadays most of the tourists coming to Bali want to go Gili islands if they're going to some other island but actually Lembongan should be a really good option for them. Many may not even know about Lembongan (I learned about that after living here already for one month). 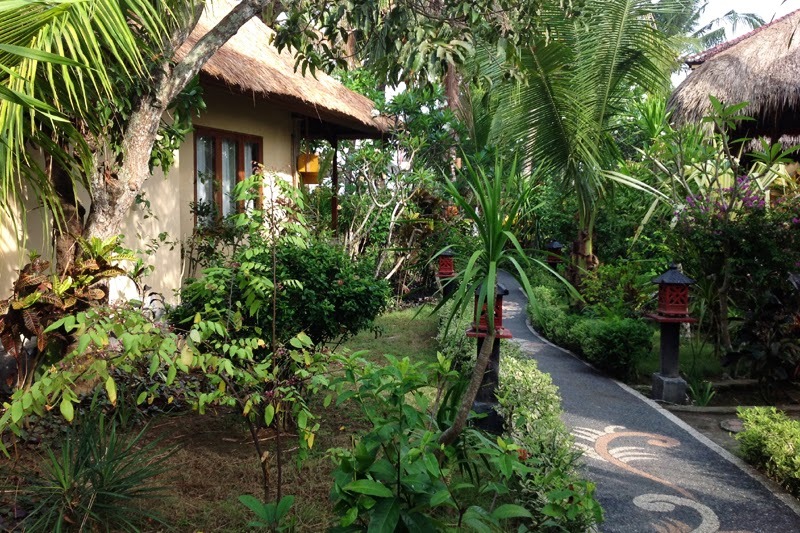 We visited Lembongan during November and because of low-season there wasn't a lot of tourists beside of us. That was perfect situation at least in my opinion. Lembongan is pretty similar compared to Gili islands, especially Gili Meno, which is the most quiet one of the three Gili islands. 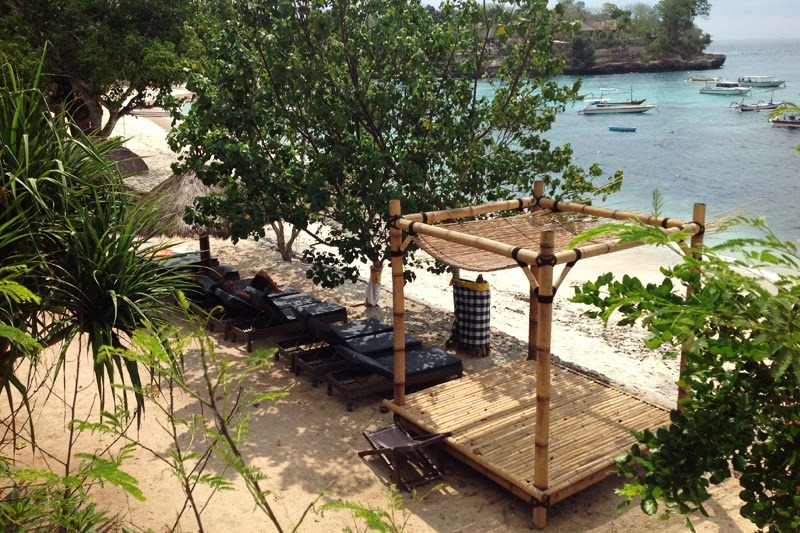 So primarily in Lembongan you can focus on enjoying of cool views, warmth and perfect beaches. The biggest difference compared to Gili islands seemed to be the fact that in Lembongan you can drive with a scooter or even with a car. Although if it would be up to me, I wouldn't anybody drive those small roads in the middle of pretty high hills there. Well, what you can do in Lembongan? Relax. That was the thing that at least I was looking for when I travelled there and that was also the thing that I got. There's not too much activities in Lembongan so it's perfect fit relaxing because the island is much more quiet than Bali. Especially in the area of Mushroom Bay there's nice views and really good beaches. 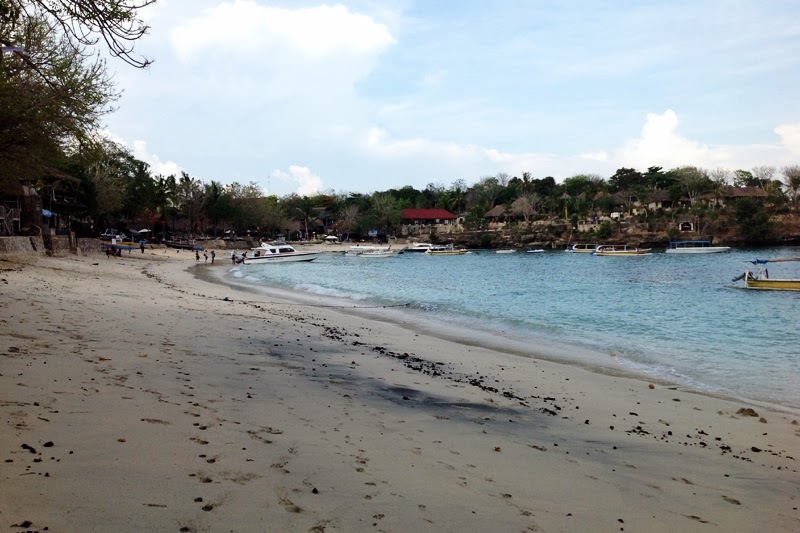 In addittion you can surf, snorkel and dive in Lembongan. Especially snorkeling and diving is pretty popular amongs the visitors of Lembongan. Near to Lembongan there's for example the area of Crystal Bay where water indeed is crystal clear. You can also see manta rays while snorkeling/diving there if you have a good luck. I enjoyed snorkeling there really much. Once again it was nice to watch beautiful coral and cool fishes. Also, when we were coming back from the snorkeling trip, three dolphins swam past by our boat. That was the first time I've ever really seen a dolphin. In overall the weekend trip to Lembongan was exactly what I was hoping for. 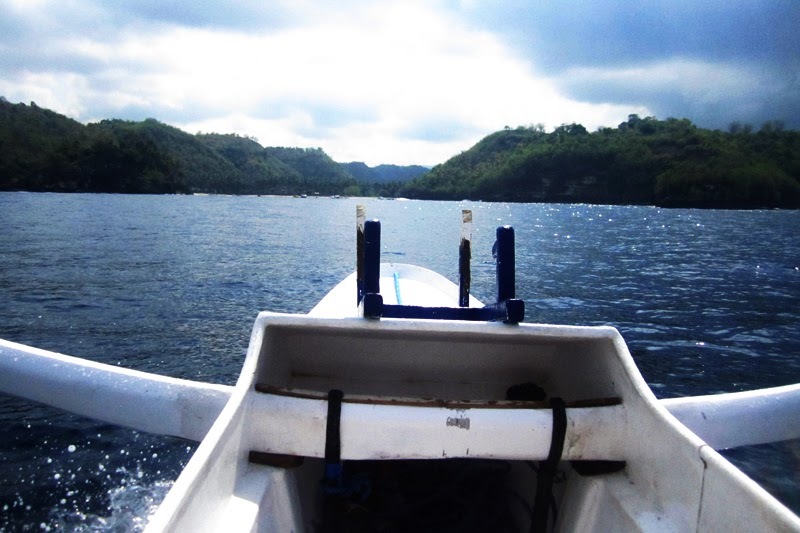 An easy way (only 30 minutes by boat from Sanur to Lembongan) to get away from chaotic Bali. I recommend to everyone who wants something for change to Gili islands where is all the time more and more tourists.